The most tender cut of all - the filet mignon, or tenderloin steak. Our Wagyu Filet Mignon is so tender and buttery, you can cut it with a butter knife. With intense marbling and flavor that will have your tastebuds craving more, this steak is sure to be one you’ll remember. 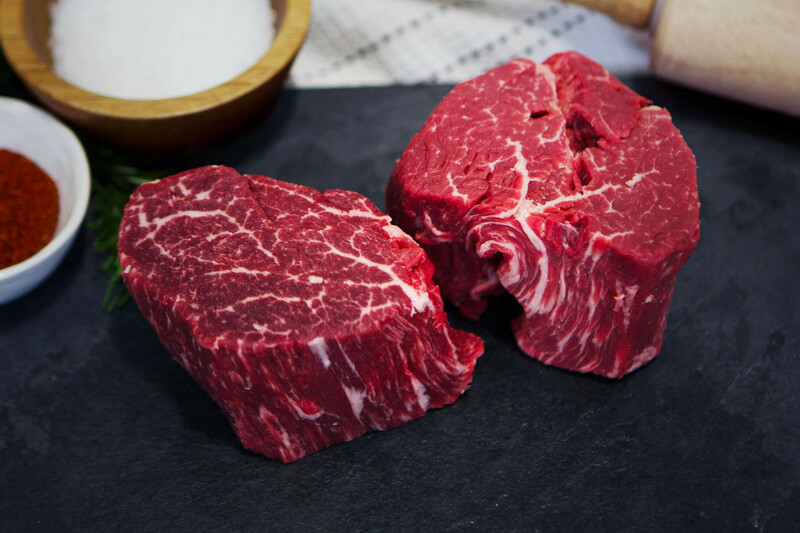 Pasture raised and finished with a farm-grown barley feed for unmatched tenderness and signature Wagyu marbling. Our steaks are hand cut by a master butcher, meaning sizes will vary. For special requests on thickness or weight, please put a note in your final order.